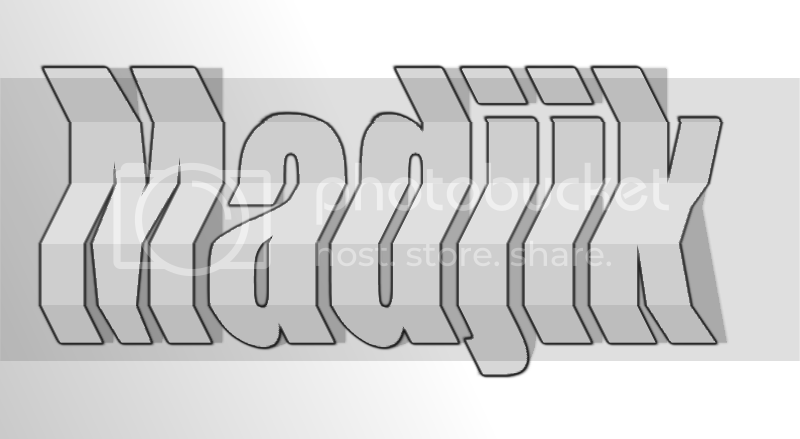 By MadJik, December 29, 2006 in Plugins - Publishing ONLY! This is a plugin under Effect/Distort menu. This effect will enable you to incline texts or images, vertically horizontally or both using the sliders. - If X alone or Y alone = 1.0, it corresponds to 45° oblique angle. - if part of the tilted image leaves on a side, it reappears on the other. - calculation is made from the center of the image. - if you apply vertical & horizontal none zero at the same time you'll have like image reduction (test it vert:0.50 hori:-0.50 and Ctrl-F 3-4 times). This is great. It would be even better if it was anti-aliased! I didn't know how to do that... and I found some way into the paint.net sources. This is like the holy grail of plugins!! Awesome! This goes straight in my effects folder. Great work. Thank you. This is obviously better because it is anti-aliased. This needs to be stickied...or implemented into the s/w. Sorry for posting after this thread was inactive for some months, but it would be weird to create a new one in G.D.
May I ask for moving the plugin to "distort" because my effects menue is just to full and I don't want to remove effects. If the plugin was done in codelab it is just enough to publish the source code so I can make a new version myself. New version in distort submenu, see post one! Thanks for another great update. Wonder if you could date this plugin, as you do for the others, so that we will not miss your latest version. Wonder if this request is feasible? 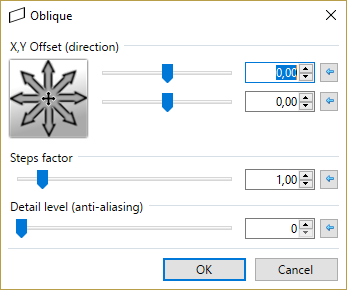 Could we separately adjust the two horizontal and two vertical parameters of the object we are applying the oblique plugin to? Find the zoom/rotate rather hit-miss possibly because I'm not too familiar with the complicated settings. This may make fitting oblique images to a rotated box a much easier task. Hope it's not too difficult. I actually did try to fit a picture to the side but found it very difficult - probably because of inexperience. Was just hoping that slider controls could enable the various lengths to be adjusted more easily in your plugin but guess that it could be too much work! Thanks for responding. Appreciate all the plugins and updates that show your perfectionistic trait. Nice effect this is really cool. Can you change to Vertical/Horizontal step settings to work in degrees? I assume that it works in pixels at present, am I correct? Thanks a ton! This will probably help me out quite a bit. Can you make adjustment to smaller value, so users can use 2.56 or something like that? Just like what you did for Twistz. And the starting default value 0.00, 0.00, 2 ? The range is now from -20000 to +20000 and divided in the code by 10000. MadJik, you really should keep your download links in the first post in a thread. Having various versions of a plugin scattered all over the place only serves to create confusion.